My name is Al, and I'm addicted to nail art. It is now summer for me so I pretty much just sit inside and lurk the internet in my pj's, hair up and no makeup. To get my beauty fix, I have turned to nail art. Ultimately it took an extremely long time and I would definitely suggest using contrasting colours because no one could tell what I did unless I showed them up close because the colours I used were so similar. Otherwise, it turned out pretty well even though it required so much effing time, I probably wont try it again for awhile but it is a fun look. I used OPI Lucky Lucky Lavender and Revlon Perfect Pink. I put down the Revlon shade first then applied Seche Vite, waited for it to dry. 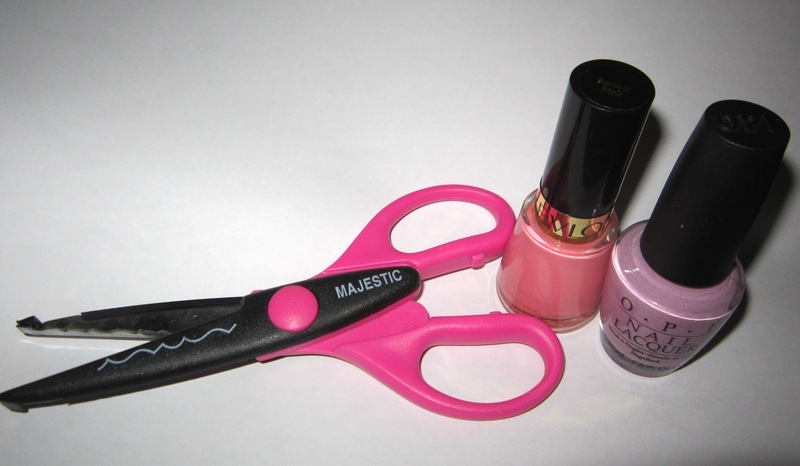 Then put the tape I had cut with the scissors on my nail and applied Lucky Lucky Lavender. Out of all 10 nails, the tape only peeled off the colour on one. Love this,honey!Gotta try it definitely!